The global olive industry is a complex matrix of production, distribution and consumer behavior which changes daily with climatic conditions, political activity and the decisions of businesses, large and small. The industry does not operate in isolation, it is affected by the trends in competing vegetable oil industries, the global financial situation, social imperatives and the emergence of new technology. Olive oil consumption has a very long history and an assured future. The future will be shaped by the global industry’s recognition and strategic response to the many challenges it will face. An important step in responding effectively at local, regional and international levels is the recognition of the most important trends which will influence the industry over the next ten years. The following ‘megatrends’ are identified as the most significant factors which should be considered when planning to sustain and grow all small, medium and large olive oil enterprises. Traditional producing countries, especially Spain, have expanded their production base into neighboring countries such as Portugal and Morocco, as well as establishing joint ventures in South America, China and India. BRUSSELS — With the European economy reeling from austerity and joblessness, the European Union took time last week to focus on something rather smaller in scale: it approved a measure that would ban restaurants from serving olive oil in cruets or dipping bowls. The reaction was severe. Prime Minister Mark Rutte of the Netherlands condemned the measure, calling it “too bizarre for words” and not at all green. Criticism was particularly harsh in Britain, often the first among critics of the European Union’s reach. The findings, published on The New England Journal of Medicine’s Web site on Monday, were based on the first major clinical trial to measure the diet’s effect on heart risks. The magnitude of the diet’s benefits startled experts. The study ended early, after almost five years, because the results were so clear it was considered unethical to continue. The diet helped those following it even though they did not lose weight and most of them were already taking statins, or blood pressure or diabetes drugs to lower their heart disease risk. “Really impressive,” said Rachel Johnson, a professor of nutrition at the University of Vermont and a spokeswoman for the American Heart Association. “And the really important thing — the coolest thing — is that they used very meaningful endpoints. They did not look at risk factors like cholesterol or hypertension or weight. They looked at heart attacks and strokes and death. At the end of the day, that is what really matters.” Until now, evidence that the Mediterranean diet reduced the risk of heart disease was weak, based mostly on studies showing that people from Mediterranean countries seemed to have lower rates of heart disease — a pattern that could have been attributed to factors other than diet. 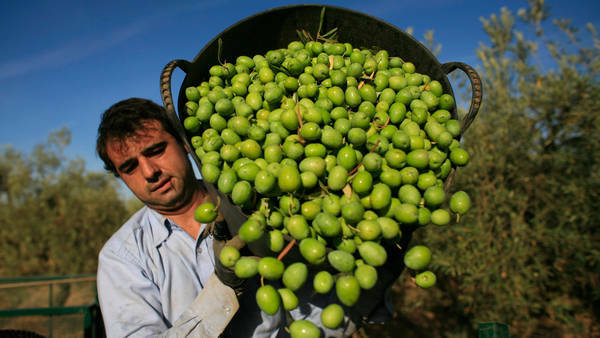 Surprise: Some of the best-tasting extra-virgin olive oils are now being produced domestically. Think Texas, California, Florida. Italians may still be light-years ahead when it comes to gelato, but when it comes to extra-virgin olive oil? Watch out: U.S. producers are on it.